Employees of The Outside View, based in Shoreditch, have to download a variety of smartphone apps that helps them to track everything from the amount of time they sleep, the distance they walk or run, what they eat, how much time they spend sitting at their desk and are even required to input their ‘happiness’ levels. But that’s not all. 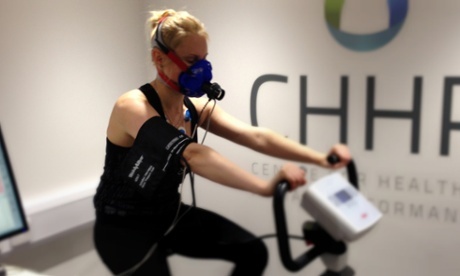 Staff are also currently participating in an intensive exercise programme with the help of the Centre for Health and Human Performance (CHHP) on Harley Street, an organisation that traditionally helps those preparing for major surgery – or getting ready to climb Everest. At the first session a baseline test is performed, giving each participant an idea of their level of fitness. Based on the results, employees are given a nutrition and workout plan. “The idea is not to just go to the gym but to get an ideal scenario. So it’s not that you have to feel bad for having a muffin [if it makes you happy],” explains Symes, who is also taking part in the project. Staff then attend tailored weekly sessions at the centre that last between 15 and 30 minutes but can be as effective as a 90-minute workout in the gym. This is all part of The Outside View’s Health, Wealth and Happiness programme, which Symes refers to as the company’s version of Google’s 20% time (where engineers were given an opportunity to work on side projects). And the longer the programme has been going on, the more insights that have been revealed. Employees currently track how much they walk, run or cycle using a smartphone app, Moves, sleep through another app, Sleep Cycle, and keep tabs on what they eat through Meal Snap, which counts the number of calories after the user uploads an image of their meal. The final app they use, Mappiness, is possibly the most sophisticated of the lot. Users receive push notifications to their phones twice a day and are asked a series of questions, including how happy they are and how awake and relaxed they feel. The app also asks users to provide context; where they are, what type of people they are around (colleagues or family, for example), whether they’re indoors or outdoors and even what they’re doing. This allows the app to give a detailed analysis on when the users are happiest and what kind of things they might want to avoid. But by itself, data about your sleep isn’t useful but it might prove to be more insightful if it was mapped alongside your happiness levels. For The Outside View, the experiment is about finding a way to have a more productive workforce, where staff can use the data to learn from each other. This is all part of the growing ‘quantified self’ movement, where individuals monitor various aspects of their behaviour. Indeed, Amazon’s best-selling Christmas holiday health and personal care item in the US wasn’t a toothbrush or a shaver but the Fitbit Flex, a sleep, exercise and health tracker. As technology plays a more important, fluid and perhaps even necessary role in our lives – a recent study by Pew found that 49% of Americans would find it very difficult to give up their mobile phones – smartphone apps have arguably made many of us determined to find out more about our lives. Relatively basic apps such as Instagram, which creates a social network around images, give us a glimpse into the lives we want to portray to our friends. MyFitnessPal takes that a step further, creating a social network around the number of calories you’re eating – and with 40 million users, it’s clear that this isn’t just a fad. On the face of it, there doesn’t appear to be any real reason for the sudden interest in the quantified self but there is value in understanding your actions. For example, although most people walk an average of 3,000 steps each day, the NHS recommends that individuals walk at least 10,000, and the benefit of a wearable fitness tracker can encourage users to be more healthy. This is particularly the case when information from any wearable tracker such as the Fitbit, Jawbone UP or Nike FuelBand, can be easily understood on a computer screen and shared with friends, family, colleagues and, occasionally, your boss. And as more individuals take the personal decision to monitor themselves, companies have started to look to these same tools to deliver data-driven insights on how to have a more productive workforce. But questions have now started to be raised about whether this kind of information is truly valuable to managers. After all, does the fitness of an employee – or the amount of deep sleep they get – matter if they perform the job well? Managers would point to the Journal of Neuropsychiatric Disease and Treatment, where researchers at the University of Turku in Finlandargued that sleep deprivation can lead to a loss in cognitive function and it is therefore in their interest to ensure staff are maximising their sleep. These studies clearly carry much weight in the offices of Buffer, a startup based in San Francisco but founded by Sheffield-born chief executive Joel Gascoigne, which gives every employee a Jawbone UP. 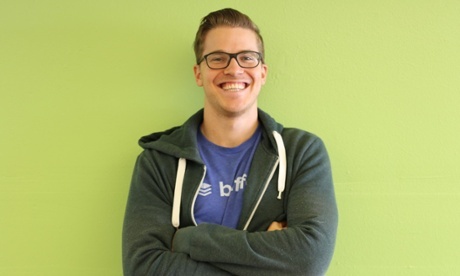 “One of our key values at Buffer is to work smarter, not harder,”Gascoigne told Inc Magazine. “Personal improvement is a big part of that, so giving employees a tool that can help improve their sleep patterns is a no-brainer. Unlike The Outside View, however, Buffer don’t require all employees to take part but Kopprasch added that she’s never seen anyone opt-out. But one of Buffer’s cultural values is defaulting to transparency. Besides sharing their sleeping habits internally, the company has also released how much each employee receives as well as the algorithm that helps to decide the salary. Although the company only share the sleep data internally, Kopprasch doesn’t rule out sharing the information publicly in the future. Beyond just comparing data, each employee has a daily phone call with someone else on the team (based on a weekly rotation system) and she adds that these conversations will often include information about their sleep and why they might have got more or less deep sleep than before, providing deeper insights. Each employee is also required to log their daily work using iDoneThis and this allows the team to stay in touch across different time zones. “When we had a daily standup [meeting], no-one really wanted to interrupt. But with iDoneThis, we have conversations about what we’ve achieved,” she said. The idea of working smarter is one that Buffer holds close, so much so that it runs a blog on productivity. A theme that pops up regularly is theimportance of taking power naps to work more effectively – and the startup has already noticed a change since bringing in bunk beds to their headquarters in San Francisco with many staff reducing their caffeine consumption. Beyond measuring fitness, some have suggested that companies need to measure the activities of their employees while doing their regular jobs. Instead of simply looking at how many sales call an employee makes, for example, it might be more valuable to analyse the tone of their voice and compare it with the number of successful deals before then sharing this data with other staff. And when the team isn’t measuring its sleep, this kind of machine learning is precisely what The Outside View sells to companies. Inspired by voice analytics, the company uses a variety of data to predict a business’ future. It looks at a range of structured and unstructured data around the sales process, including phone calls, emails, calendar entries and even the season in an attempt to quantify the activity and generate accurate revenue forecasts. And, at least in the short term, that’s probably more useful to companies than a healthy employee.